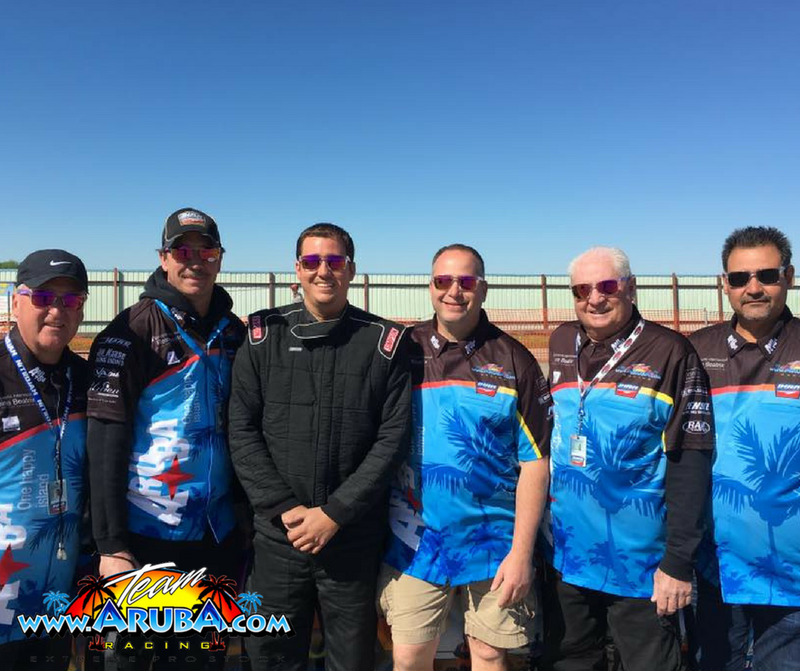 ORANJESTAD, Aruba (October 27, 2017): Team Aruba has proven themselves a consistent top five finisher in PDRA Extreme Pro Stock. This year was no different as Trevor Eman and the Aruba.com Mustang stand in third place in national points standings. Team Aruba had a win, a runner up, and a semi-final finish to their credit this season. Eman had a great season on and off the track. He and his wife welcomed their first child into the world. His daughter Elana was born in March. “Finishing third in points this year, together with the big changes in our lives this year with the birth of Elana, is something we as a team are very happy and proud with. We would have liked to finished even better, but we had a satisfying season earning several number one qualifiers, winning in Darlington and carrying the record for most of the races this year. Our crew worked hard and it showed in what we were able to achieve. “We are also thankful for the PDRA for welcoming Pro Stock back to their line up. The PDRA is having great car counts at the events, and they put on a good variety of racing. Our class has gained strength this year with everyone racing together in one series. The staff are great people and the series continues to improve. “And finally, we want to thank all the fans. It’s great when they come by and come say hello and ask questions and chat. What’s even cooler, though, is the amount of people who notice we support Autism Speaks and are grateful we’re bringing awareness.